Welcome to a special release blog hop for our newest digital artist Annie Maeschen!!!! All Whimsy Stamps digital images are 300dpi for high print quality. You can re-size, flip, or rotate to fit your own projects. 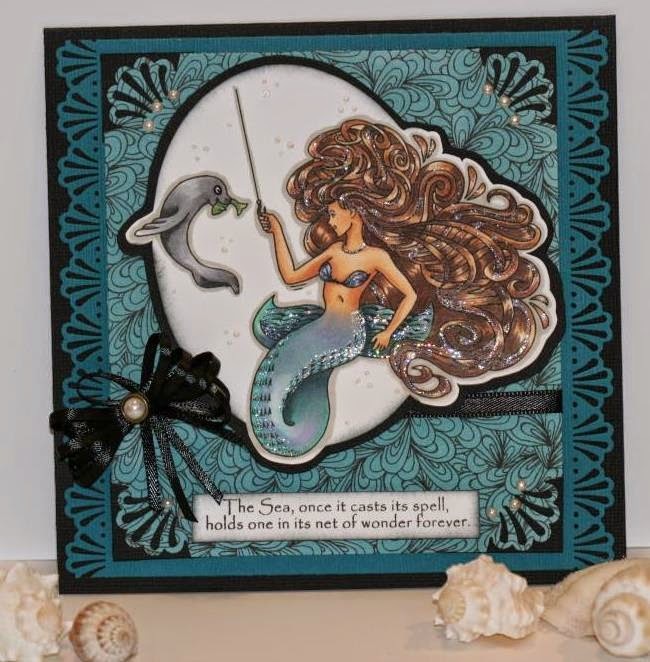 To find all of today's new releases please visit the Whimsy Stamps Store. Don't forget to leave comments along the way as there will be 3 mystery DT Members who will each be choosing a winner from the comments left on their hop posts. These winners will each win a new image from our Annie Maeschen Collection. The Grand Prize winner of the hop will be chosen from the very last stop, which is Dewi Lestari. This winner will receive 5 digital stamps, of their choice, from the Annie Maeschen Collection. The hop will run for 1 week and end on Friday, August 1st at 12 Noon EST, when the lucky winners will be announced right here. This is my creation for this digital hop. Theses images are wonderful and the detail in them is amazing. This image is called Daenya, it took me a bit to do her hair but I love the challenge of getting all the lights and dark colors in it. Also who doesn't love the thought of mermaids and the ocean, that's why I think I chose the aqua color cause its a really great ocean color. I added the pearls cause well.... they come from the ocean. A bit of a closer picture so you can see all the detail in the hair. What a very cute image and a lovely card. Yowzah! She is fabulous, and the sentiment is so very true. I love the pearls, ribbon, and sparkle. A mermaid to be loved. Wow those scales are amazing. Charlene your card is so gorgeous. Your colouring is absolutely stunning. 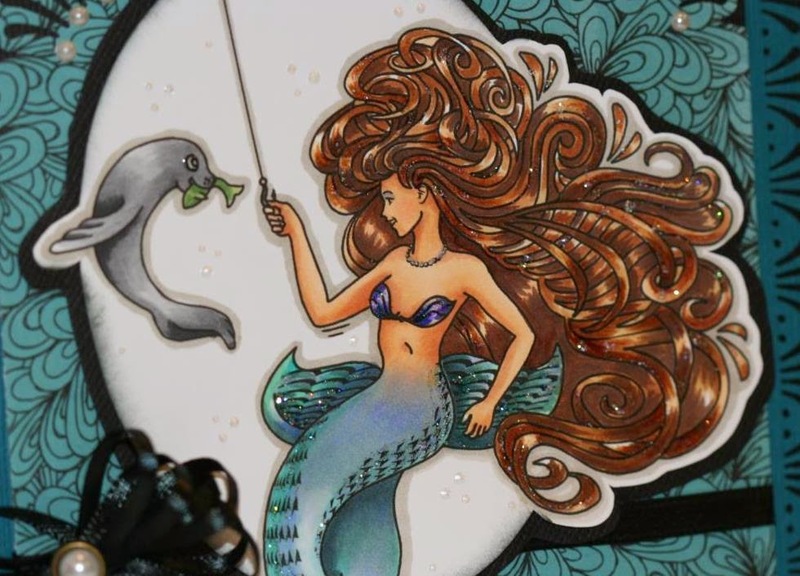 I love the blending on the mermaid tail, the great highlights and shading in her hair. I can't say enough about how great your colouring is.